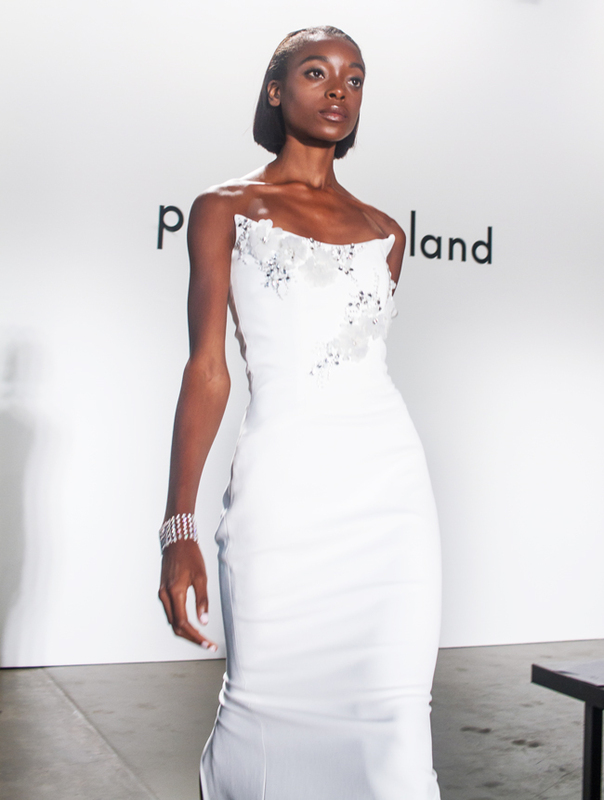 The Pamella Roland Spring 2018 collection was all about elegant glamour. Designer Pamella DeVos took inspiration from Monte Carlo, the luxurious city state known as much for it's beauty as well as it's wealth of iconic references such as the French Riviera, the Grand Prix and Princess Grace Kelly who was the embodiment of timeless sophistication. 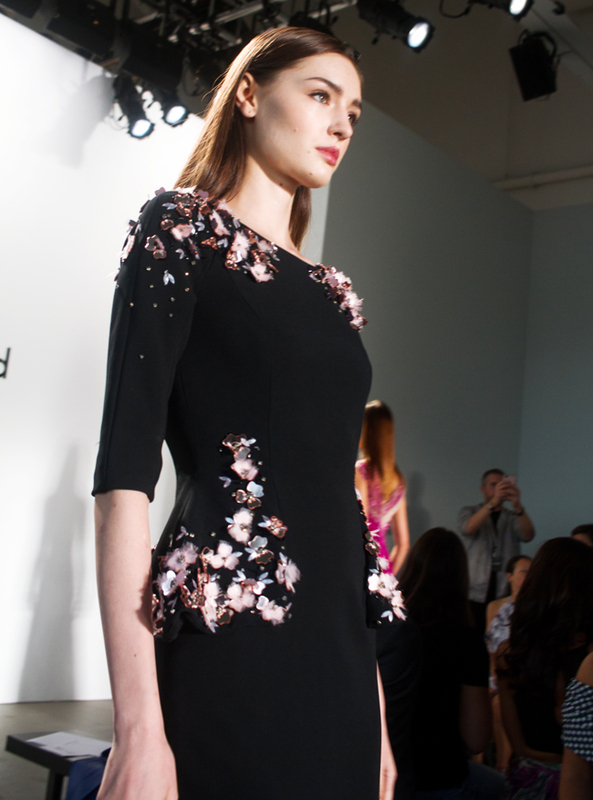 An array of charming cocktail dresses and gowns in a range of sumptuous fabrics walked down the runway. 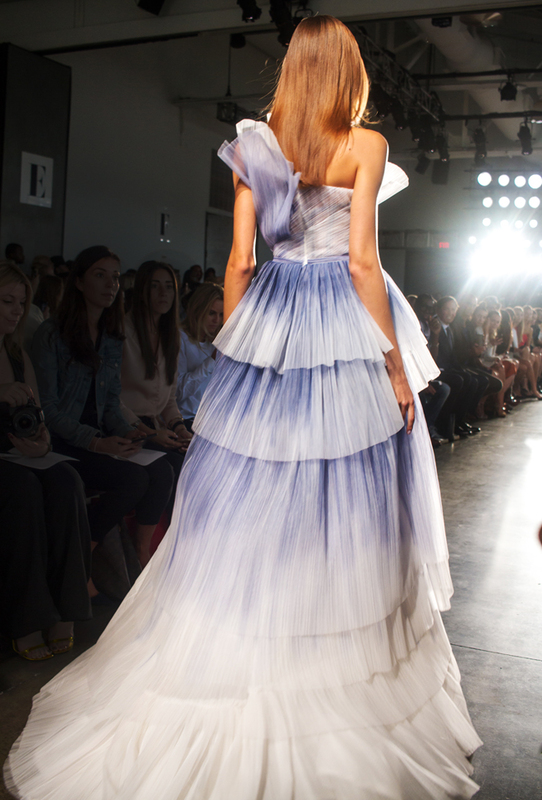 The color palette ranged from classic black and white to soft pastel hues of blush and lilac to rich jewel tones. The sleek silhouettes were adorned with striking embellishments like intricate metallic fringe, sequin firework motifs, floral embroideries and feathered plumes. The collection which is punctuated by vintage refinement speaks to a sense of opulence that is somehow streamlined without being over the top. 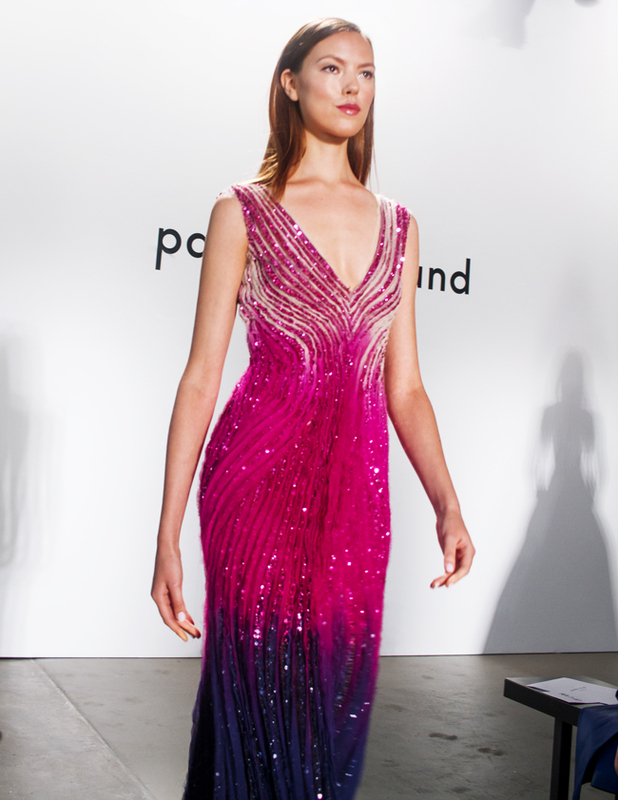 Pamella Roland is a red carpet favorite among celebrities and it would be quite easy to visualize some of these designs gracing various red carpets in the future. This show kicked off the inaugural day of New York Fashion at Pier 59 Studios. Some notable attendees I spotted in the crowd were Aly Raisman, Olivia Culpo and several judges from America's Top Model. I briefly considered photographing the presentation with my new camera but opted against it as soon as I took my seat. 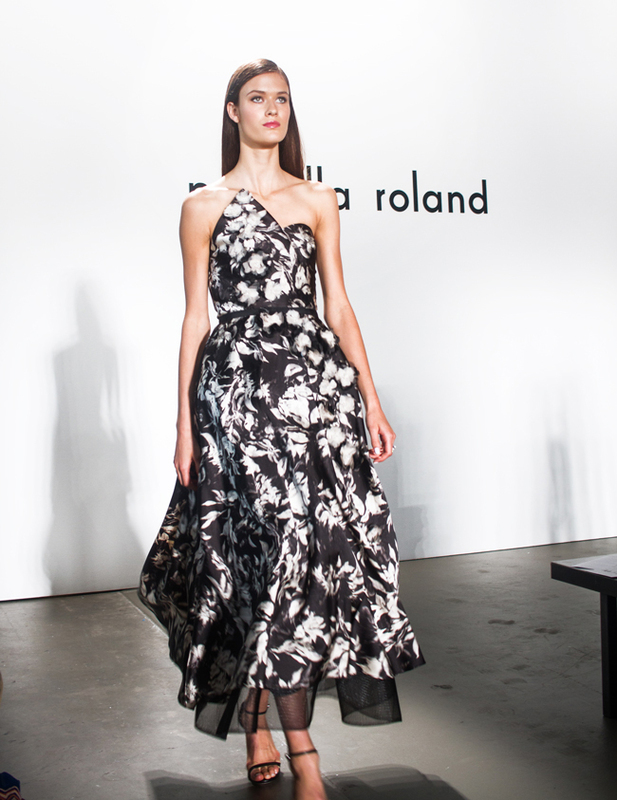 Also check out my feature on the Pamela Rolland Resort 2018 collection. I am not that much into glitter and sequins, but I adore the long silk robes. Love this designer elegance and sophistication. Absolutely chic, I love this collection! Sadly my life has no use for pretty gowns like this, but they are lovely to look at and admire, haha! The collection looks absolutely beautiful! Thank you for sharing! 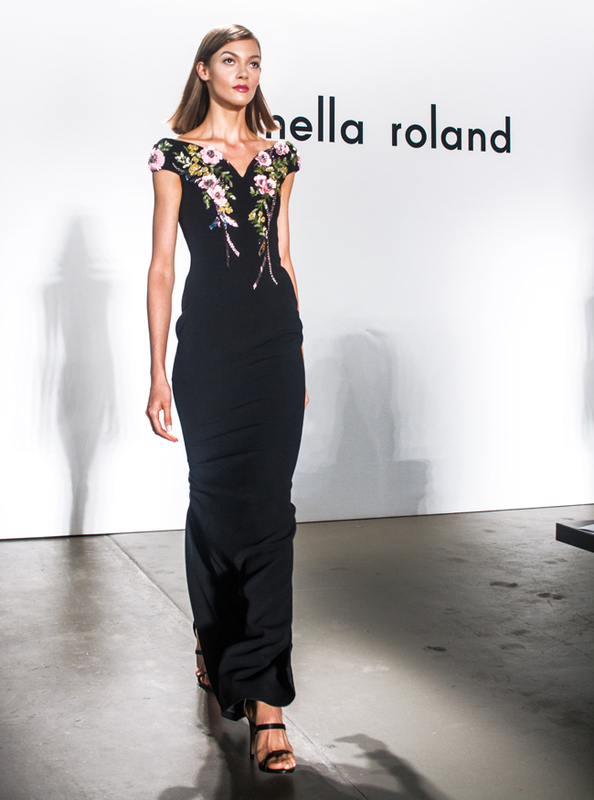 I wish I could have attended the Pamella Roland show. Judging by your great photos, it looked amazing. I love how all her fashion is so wearable and well constructed. Maybe next NYFW! Oh my some truly stunning pieces here! 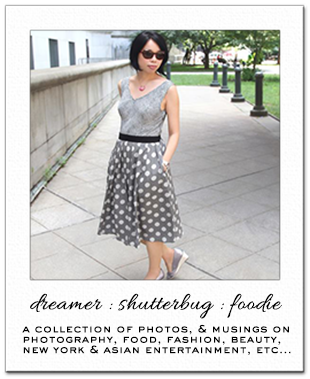 My favorite is the lavender tulle mini frock! The photos came out great and a new camera how exciting! It is a beautiful collection conveys the essence of the place where it has been inspired, it is elegant, sophisticated and it wastes a lot of glamor, I would not know how to choose as a favorite I have been delighted with each one of them. I too can visualize some celebrities wearing this collection in the future, many are red carpet ready!